Lawmakers ordered Peanut Corporation of America owner Stewart Parnell to appear at the hearing Wednesday. He showed up, but refused to answer questions, invoking his constitutional right not to incriminate himself. WASHINGTON — The owner of a peanut company refused to testify to Congress on Wednesday amid the disclosure that he urged his workers to ship bacteria-tainted products, pleading with federal health officials that he should be able "turn the raw peanuts on the floor into money." Stewart Parnell, owner of Peanut Corp. of America, repeatedly invoked his right not to incriminate himself before the House subcommittee holding a hearing on a national salmonella outbreak blamed on his company. The outbreak has sickened some 600 people, may be linked to nine deaths — the latest reported in Ohio on Wednesday — and has resulted in one of the largest product recalls of more 1,800 items. Parnell sat stiffly, his hands folded in his lap at the witness table, as Rep. Greg Walden, R-Ore., held up a clear jar of his company's products wrapped in crime scene tape and asked him if he would be willing to eat the food. "Mr. Chairman and members of the committee, on advice of my counsel, I respectively decline to answer your questions based on the protections afforded me under the U.S. Constitution," Parnell said. As food banks throw out hundreds of pounds of peanut butter products, Congress is meeting to discuss a possible overhaul of federal and state food safety. After repeating the statement several times, he was dismissed from the hearing. Shortly afterward, a lab tester testified that the company discovered salmonella at its Georgia plant as far back as 2006. The House panel released e-mails obtained by its investigators showing Parnell ordered products identified with salmonella shipped and quoting his complaints that tests discovering the contaminated food were "costing us huge $$$$$$." In mid-January after the national outbreak was tied to his company, Parnell told Food and Drug Administration officials that his workers "desperately at least need to turn the raw peanuts on our floor into money." In another exchange, he told his plant manager to "turn them loose" after products once deemed contaminated were cleared in a second test. Parnell's response to a final lab test last year showing salmonella was about how much it would cost, and the impact lab testing was having on moving his products. "We need to discuss this," he wrote in an Oct. 6 e-mail to Sammy Lightsey, his plant manager. "The time lapse, beside the cost is costing us huge $$$$$$ and causing obviously a huge lapse in time from the time we pick up peanuts until the time we can invoice." Lightsey also invoked his right not to testify when he appeared alongside Parnell before the subcommittee. The disclosures came in correspondence released by a House Energy and Commerce subcommittee Wednesday during a hearing on the salmonella outbreak. "Their behavior is criminal, in my opinion. 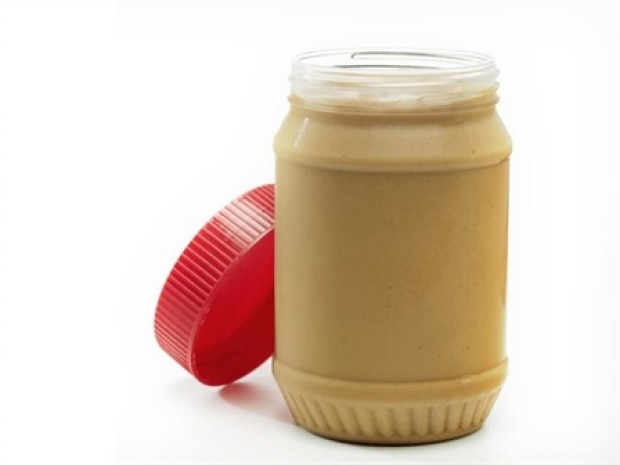 I want to see jail time," said Jeffrey Almer, whose 72-year-old mother died Dec. 21 in Minnesota of salmonella poisoning after eating Peanut Corp.'s peanut butter. Almer and other relatives of victims urged lawmakers to approve mandatory product recalls and improve public notice about contaminated food. A federal criminal investigation is under way. Darlene Cowart of JLA USA testing service said the company contacted her in November 2006 to help control salmonella discovered in the plant. Cowart said she made one visit to the plant at the company's request and pointed out problems with its peanut roasting process and storage of raw and finished peanuts together that could have led to the salmonella. She testified that Peanut Corp. officials said they believed the salmonella came from organic Chinese peanuts. An earlier FDA inspection report said the company found salmonella in some of its products a dozen times dating to June 2007. "We appear to have a total systemic breakdown," said Rep. Bart Stupak, D-Mich., chairman of the committee's investigations subcommittee. Other e-mails released by the committee show after salmonella was discovered in the Georgia plant's products, Parnell tried to salvage whatever he could from the plant, looking for loopholes in what the government said they could use. In a Jan. 19 e-mail about a truck with more than 33,000 pounds of raw peanuts, Parnell noted that Georgia agriculture officials are "putting a hold on everything else in the plant" beside what was on the truck. "Obviously we are not shipping any peanut butter products affected by the recall but desperately at least need to turn the raw peanuts on our floor into money," he wrote. "We have other raw peanuts on our floor that we would like to do the same with." In another exchange, Parnell complained to a worker after they notified him salmonella was discovered in more products. "I go thru this about once a week," he wrote in a June 2008 e-mail. "I will hold my breath .......... again." A laboratory owner told the House panel that the peanut company's disregard for tests identifying salmonella in its product is "virtually unheard of" in the nation's food industry and should prompt efforts to increase federal oversight of product safety. Charles Deibel, president of Deibel Laboratories Inc., said his company was among those that tested Peanut Corp. products and notified the Georgia plant that salmonella was found. Peanut Corp. sold the products anyway, according to an FDA inspection report. "What is virtually unheard of is for an entity to disregard those results and place potentially contaminated products into the stream of commerce," Deibel said. Deibel said he hopes the crisis leads to a greater role for FDA in overseeing food safety and providing more guidance to food makers. The company, now under FBI investigation, makes only about 1 percent of U.S. peanut products. But its ingredients are used by dozens of other food companies.